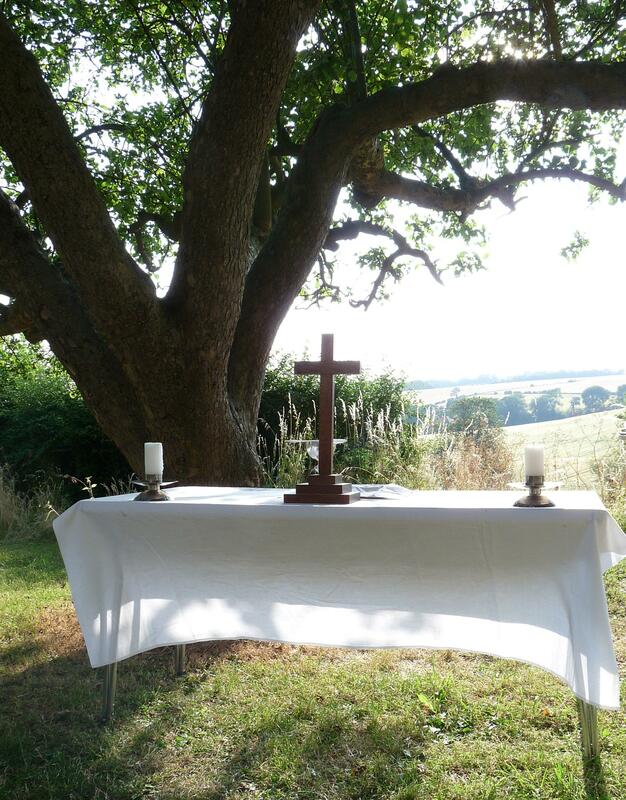 This morning I preached at our first Summer Sunday combined service, to those of St. Peter’s Yateley who hadn’t yet left for New Wine, or otherwise gone on holiday. It forms the last of a sequence of sermons on the story of Jacob and Joseph, and brings together thoughts about reconciliation and Eucharist. I wonder how many of us feel trapped in some way by the past? We’re doing our best to work through the challenges life throws at us, when some circumstance comes along and reminds us of our own past mistakes, our folly, or of the unexpected consequences of some innocuous comment we made a long time ago. Many of us live with these occasional and uncomfortable reminders of broken relationships; we set them aside and get on with life, but unless we can forge circumstances whereby a meeting takes place, reconciliation is impossible. Graham and I know only too well in our family how painful that can be; its like a kind of bereavement – every so often something happens to remind you how painful it is. For Jacob’s family in today’s Old Testament reading, drought and hunger might be their most pressing concern, but they still live with the consequences of their past actions, now twenty years behind them. Jacob, has a paranoid fear of losing the second son of his beloved wife Rachel, given that their older child Joseph has been, supposedly, lost to the ravages of wild animals. Benjamin must, at almost all costs, be protected from danger, even at the cost of remaining at home in famine conditions. Jacob still has his favourites! That of course must remind Benjamin’s older brothers, Leah’s sons, of their own complicity in the so called death of Joseph, and the lies they have woven to hide the truth. Something they continue to have to cover for when faced with the accusation of spying by Pharaoh’s awe inspiring Grand Vizier! When they declare that “one brother is no more” the English translation hides a whole packet of intense emotions that are suggested at in the Hebrew! I guess the face paint worn by Egypt’s ruling elite must have hidden Joseph’s emotions at this first meeting: not only does he remember his dreams and their role in bringing him on a painful journey to his current exalted position, but he also remembers the part played by his older brothers, now prostrate before him! If we read back in Genesis 41:51 we find Joseph called his first-born Manasseh, as an acknowledgement that it was because “God had made him forget his trouble and his Fathers’ house”, which actually only goes to show that really the contrary was true! He hadn’t forgotten at all! The naming of his second son, Ephraim, suggests rather, that the real truth was he’d simply learned to live with different blessings in the land of his suffering. There is something called forensic, or factual, truth. This, if we read on through the conclusion of this fascinating story of Jacob’s family, is the type of truth that tells Joseph’s older brothers that somehow the silver they thought they had paid the Pharoah’s Vizier for their first shipment of grain, has been mysteriously returned to their possession. They do not understand why, or how, but the forensic truth is that the silver is there in their sacks in Genesis 42 v28; which only adds to the discomfort at having to leave Simeon behind as hostage against their eventual return with young Benjamin. It was a different type of truth, a social truth, that finally enabled the political powers of South Africa to bring about the end of apartheid between 1990 and 1994, giving all people equal rights to democratic process and freedom of speech, regardless of colour or race. I guess the social truth in this Genesis story, is the starvation that drives migration and brings together different cultures, the Hebrew and the Egyptian. We see so much such economic migration today, and the social changes and challenges it brings, that it shouldn’t be too hard for us to recognise! But it is personal truth, what Desmond Tutu writes of as the truth of wounded memories, which is being most prominently featured in these closing chapters of Genesis, that I do encourage you to read as we conclude this series of sermons today. Personal truth, says that when one person is encouraged or allowed to speak their memories, in the context of being heard and respected by those intimately involved in them, healing can be found. Personal truth was what formed the basis of South Africa’s Truth and Reconciliation Commission, and it followed from the social truth of equality. The reconciliation of Joseph and his brothers’ starts with Joseph’s discovery that they are repentant for their actions of twenty years previously. You see, if we read through Genesis 42 v21-23, we see that Joseph comes to understand that they see their current trouble as relating to their past treatment of him, a form of confession that brings to light the information that the eldest, Reuben, spoke up for him at the time. Perhaps that is why it is in fact Simeon, Leahs’ second son, and not Reuben, who becomes Josephs’ hostage. Some of you may have heard me talk before about the African theology of “ubuntu”. It may have become a word that describes a computer system, but even that derives from the theology popularised by Desmond Tutu, that a person is a person, through other people. To live with broken relationships, with other people, or with God, is a kind of death because we are created by God to be in relationship, healthy relationship, with other people. Ubuntu says that supporters of apartheid were as much victims of the vicious system they implemented, as the murdered, widowed, beaten and ostracised of the townships. By being confronted by a situation where they were reminded of, and forced to acknowledge, the arguments and dehumanising behaviour they had exhibited towards Joseph in the past, the older brothers’ started the process of gaining Joseph’s forgiveness. It is personal truth, Reuben’s outburst of honesty, that sparks Joseph’s tears in Genesis 42 v22. And, if we read on into Chapter 44, on their second visit to Egypt, this time with Benjamin, it is the proof of repentance for their past actions exhibited in their honesty and truth telling under the pressure of new situations in which they feel totally out of control, that enables Joseph to finally complete his own generous acts of reconciliation by finally making himself known to them, thus enabling his reunion with Jacob in Genesis 46 v29. In the long run, it brings the family together in Egypt where they can prosper and grow in number and in their understanding of themselves as the people of God. Here in the story of Joseph and his brothers being reconciled, we see the same as Jesus teaches us in our Gospel reading this morning. Jesus is teaching us, his disciples, that the starting point for our prayers and mission as his people, is to be reconciled to one another. The familiar words of what we know as the Lord’s Prayer includes the practice of forgiveness, a daily awareness of our ongoing need for forgiveness by God for those times we stuff up, that is compromised if there is not a corresponding practice of forgiveness on our own part. It is a teaching of Jesus that we read elsewhere, for example in the parable of the unmerciful servant in Matthew 18 v23-35, and in Luke 6 v37 where it says “Do not judge, and you will not be judged. Do not condemn, and you will not be condemned. Forgive, and you will be forgiven.” The biggest challenge of all is that, throughout his ministry, and most obviously in his journey to and in his words from the cross “Father, forgive them, for they do not know what they are doing” (Luke 23:34), that Jesus also gives us a living example of what it means to forgive those who exclude, condemn, and torture, without understanding the personal truth of what they are doing wrong, making any confession or seeking his or anyone else’s, forgiveness. Admitting fault, confessing wrong thoughts and actions before others, and before God, is not about earning forgiveness, or about putting the right coin in God’s vending machine to trigger forgiveness, but a response to God’s sacrificial abundant love in Christ. Offering forgiveness to those who speak their own personal truths honestly, and with an integrity to their actions, is a response to both God and to such openness. Complete reconciliation should be a celebration of the basic idea that God is over-flowing with his own self-giving love, and has made us to have Ubuntu, to be in right relationship with each other. Joseph’s reaction to being reunited with his younger brother in Genesis 43 v29-34, is a celebration meal which he serves himself with great generosity, and at which he makes his final reconciliation with his older brothers. What we call Holy Communion, which we will share later in this service, is something that celebrates our God given freedom of relationship with him, and with each other. It is a moment of Eucharist, which means to “give thanks”, the ultimate celebration meal that should grow out of willingness to confess before God the deep personal truths of our lives, our desire for forgiveness, our ability to forgive and the quest for right relationship, for ubuntu, with each other and with God. 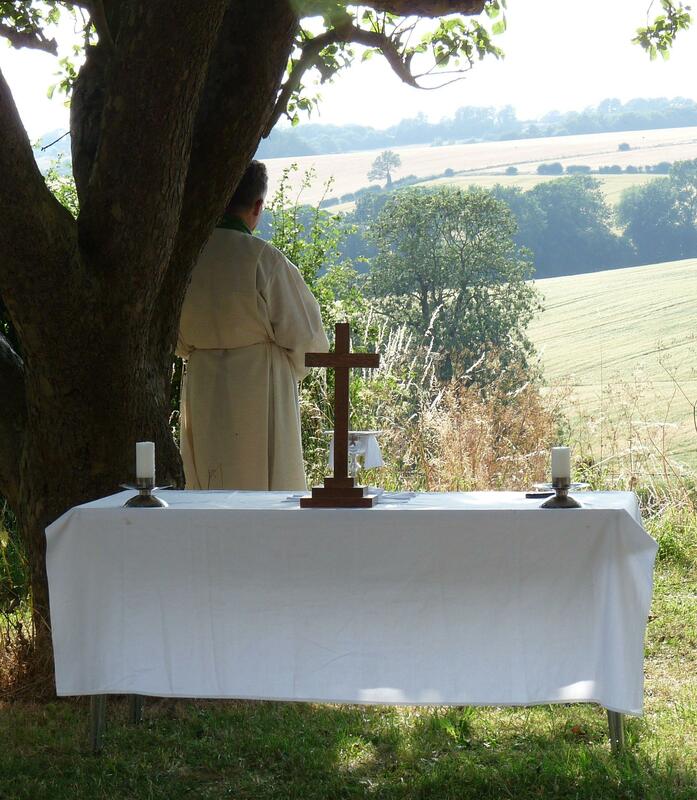 Priest at Prayer – an image from our ‘elemental’ outdoor Eucharist during summer school. 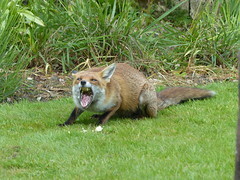 Other images of this service and local wildlife can be found in my Flickr account, accessed via the right-hand column. do you need to know you’re being prophetic? I wonder how many of us are willing to listen to, and take seriously, the dreams of the next generation? When our children, grandchildren and the youngsters of our community take the risk of sharing something of their hopes and dreams of the future, what is our reaction? Do we resent their bright ideas and feel they’re getting too big for their boots, or do we think we’ve heard and dreamt it all before and their ideas are doomed to failure, because our weren’t and the world just doesn’t work that way?! Or are we open-minded enough to at least mull over the ideas, pray and discern with them what they are saying so that we support and encourage them on their journey through life? 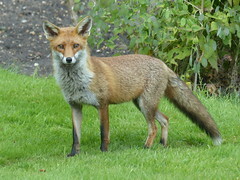 Or, is it a bit of both… just like Jacob?! Ruben is a man able to speak up for the under-dog, but not quite with enough gravitas for his wisdom to be listened to by his brother’s, either in Canaan at the well side, or in Egypt . It’s no different today is it. Being married to a teacher, I hear plenty of classroom tales: one child might boast to another, and their companions will over-react; tempers flare and not uncommonly parents get involved; good parenting demands that the manner of the doing is often rebuked before what has been said is reflected upon. Jacob’s reaction to Joseph’s dreams is an example of pretty reasonable parenting – correct the manner of the doing and then wonder what lies behind it. But sometimes, though perhaps we’d rather not admit it, the situations we face as parents and adults, and our reactions as adults to the dreams and actions of the next generation, are actually dependent on our own previous failures! In Jacob’s case, it was the favouritism that he had shown previously to Joseph with his gift of the luxurious long-robe totally inappropriate to a lifestyle of manual labour, that had set up the atmosphere of tale-telling and jealousy which was dominating his family life. Of course the reason we know about Joseph’s dreams and their interpretations is because, after there initial consequences lead to his slavery and imprisonment, they come to pass. Joseph’s were words that held truth, a truth that at the time wasn’t accepted or understood; a truth that perhaps wasn’t delivered with either tact or diplomacy; but in fact words of truth that held within them the promise of a future situation and earthly kingdom, into which Jacob and all his sons would enter, in an effort to save their own lives from the a pitiful death by starvation. Those dreams would lead to Jacob’s family becoming the people of promise; God’s people, a holy nation from which the Kingdom of God would be revealed in the person of Jesus. Our Gospel this morning, announces God’s Kingdom. As he starts his final journey to Jerusalem, Jesus was in effect sending the seventy ahead, to announce a new order, a new way of relating to each other and to God. Something not so dissimilar to what Joseph had done through his dreams, and to be honest, just as unpopular! And in both cases, the death of one life was required to bring to fruition a new way living out the life of God’s people. Joseph was stripped, beaten and thrown in a dry well before being sold into a new life of slavery, something that led to God’s purposes for Jacob’s family being worked out. For Jesus, his death on the cross was to bring the new life of resurrection, so that every person might be given the opportunity of a welcome into God’s family. So what lessons can we learn from Jacob’s, let say erratic, parenting skills, and God’s eagerness to constantly move people into an awareness of his Kingdom being revealed here on earth? I think we need to be prepared to listen and take the next generation seriously, and not make assumptions based on our own past failures or the negative over-reactions of others, even from within their own peer group. It might only be that young people come to us with ideas of their own future careers, or how they can best be enabled to care for us later in life. Both can cause us to be made uncomfortable and grumpy, because to be honest none of us like change, especially when it affects us intimately. Equally, there are situations when despite their need to learn some tact or a sense of timing, actually God is speaking through the next generation about how to reach a mission field that needs to know that his Kingdom is coming. It might mean that our normal view of what attracts young people to God needs re-adjusting, that it might not be all about the loud music we’re not so keen on anyway, or that we need to support them as they go out to work inclusively with sections of the community that we find difficult to live with, or it might be something else entirely – but if we don’t listen, we won’t know. Jacob kept Joseph’s dreams in mind, just as after Jesus’ seemingly uncaring behaviour in the Temple, Mary treasured the meaning of his behaviour in her heart. If we are to really live out God’s commission to go ahead of him and proclaim his Kingdom in the years to come, we need to stop, listen and treasure carefully those things that the next generation are dreaming about because just as much as Jesus offer’s it to us, theirs too is the Kingdom of God.